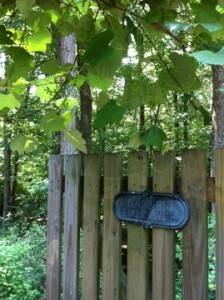 I invite you to ponder the Destination Gardens page. Visiting other gardens can help provide a wealth of information and ideas. My long-time passion about gardening began when I was five years old. We lived in the wonderful weather climate of Northern California at the time. 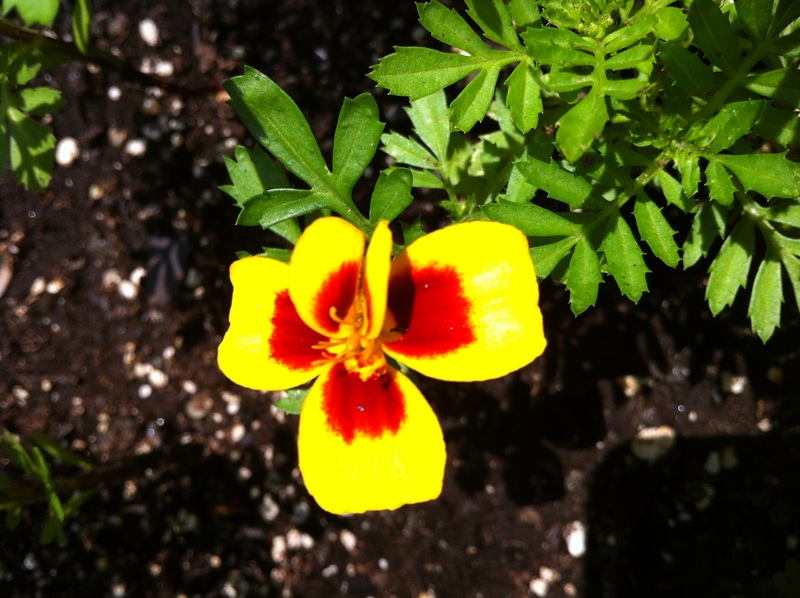 As a hobby, my mother taught me to grow marigolds from seed. 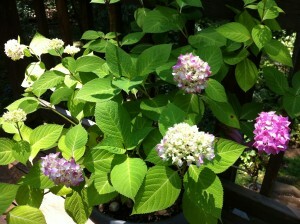 When the flowers were finished blooming, and the seeds dried out a bit, I replanted them for more blooms. And I also learned an important gardening lesson that flowers, unlike humans, don’t necessarily grow up to look like their parents. 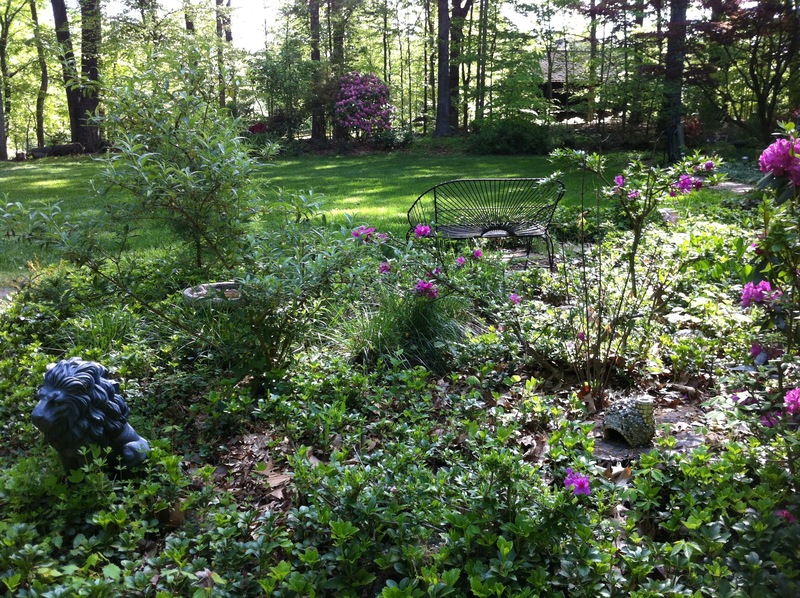 My gardening experience runs through a number of climates including the lush lands of California’s Napa Valley, the arid desert of southwestern Oklahoma, the rainy conditions of Germany, the snowy winters of Pennsylvania, and the hot & humid summers of Virginia. I’ve learned to adapt to the local environment and learned to grow what thrives no matter where I’m living. That’s what delightful gardening is all about. On a more personal note, I live in Virginia with my husband in the suburbs outside of Washington, DC. 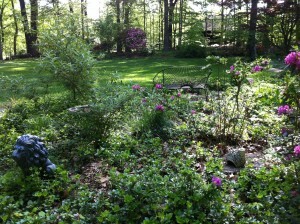 We have a lovely wooded property — although I do wish I had more direct sunshine on the flowerbeds around the house — and fewer browsing deer. Please feel free to contact me via email at A Gardener’s Delight. Also, please “like” “A Gardener’s Delight” and our sister site A Food Lover’s Delight on Facebook. Please follow My Garden and Gardening Pleasures boards on Pinterest. 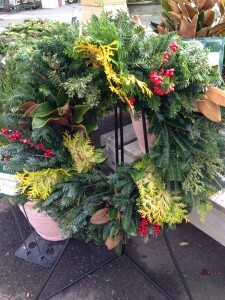 If you are not on Pinterest, email agardenersdelight@gmail.com for an invitation. 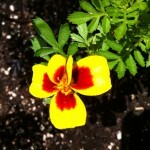 And check out my Photo Gallery with more gardening photos for your enjoyment. 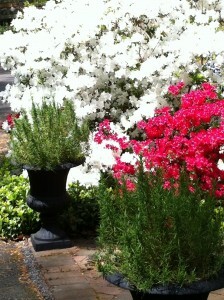 Red and white azaleas in full bloom. Rosemary in the urns. DISCLAIMER: A Gardener’s Delight is not responsible for inappropriate, untested, or other questionable comments from visitors to this site. Please follow all advice at your own risk. Additionally, clicking on any of the advertisements which results in a sale provides me with a small amount for hosting and upkeep of this site. All photos with origins/owners not identified are the property of A Gardener’s Delight and Adroit Ideals Copyright 2018. Reuse permitted only with written approval.